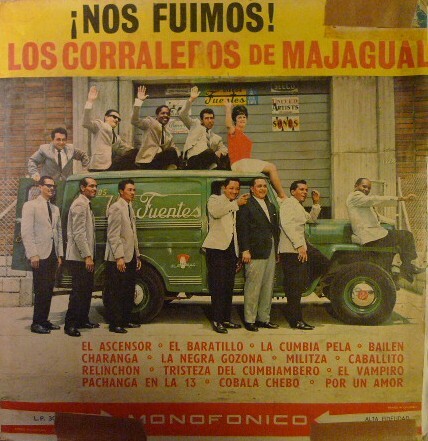 Probably one of the most popular Discos Fuentes super groups, Los Corraleros De Majagual would eventually bridge the gap between vallenato and the big band cumbia sound of the early 60’s. Large brass sections, percussion, and a heavy emphasis on the accordion. 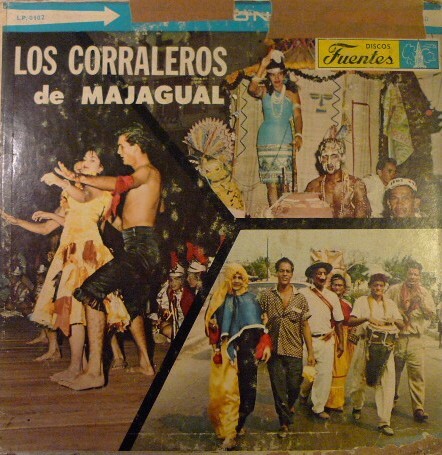 Los Corraleros brought the music of the Atlantic coast region of Colombia to national and even international levels. 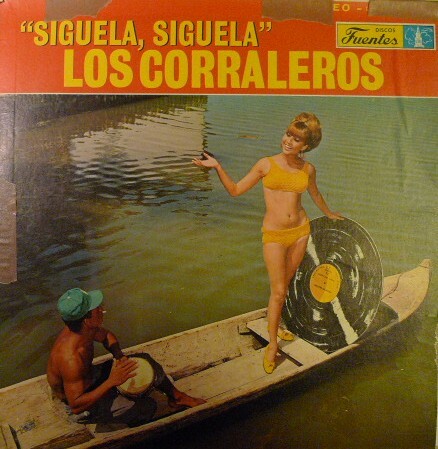 Keep in mind that the cumbia began as a low-brow form of music. Being born out of interactions between Indian populations and African slaves, the cumbia was not always looked favorably upon by the Colombian upper classes. 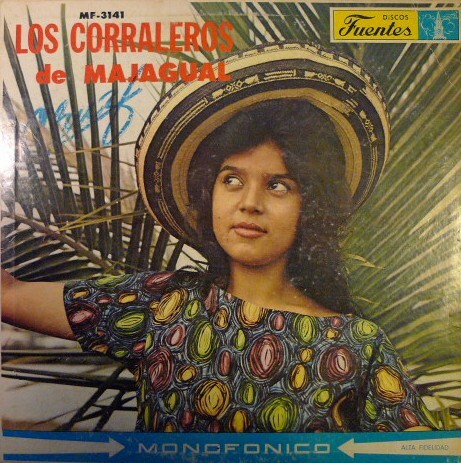 Simple 4/4 rhythms with distinctive/hypnotic looping beats, minimal compared to the popular music genres from Cuba and Puerto Rico at the time. 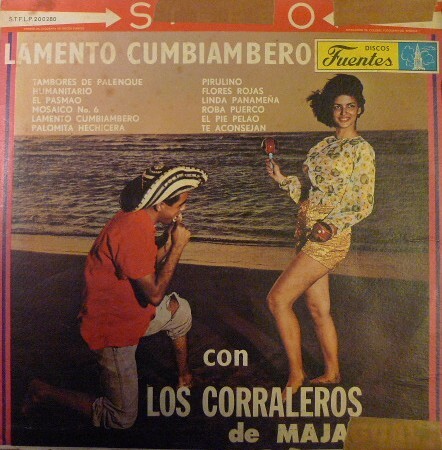 Take the song Cumbiamberita for example, its like riding a horse at a fast trot. 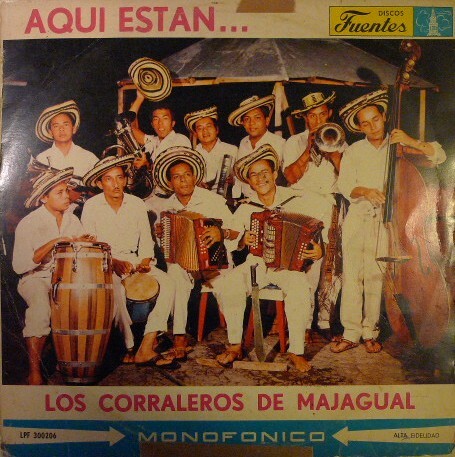 This is definitely the music of the campesino. 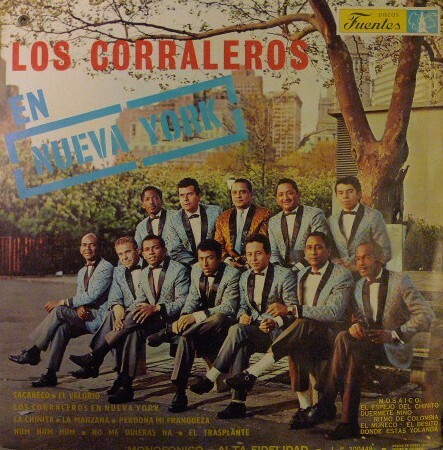 I purposly pitted the album covers “En Nueva York” and “Aqui Estan” together. Los Corraleros look happier in their sombreros vueltiados Enjoy! Siempre es esencial conservar los temas de estos clásicos.